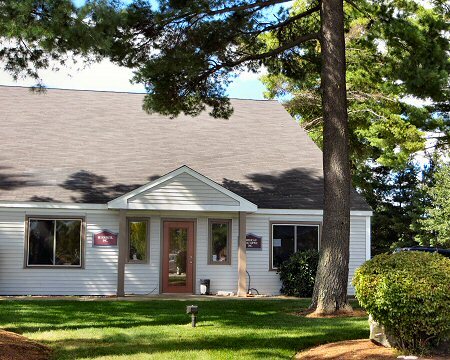 Location: Northwood Business center, 3 Northern Boulevard, Amherst is located just off Route 101A— directly across Northern Blvd. from Wal-Mart. Rental Rate: $9.60 per square foot, "modified gross" (including most expenses except utilities, insurance, and interior maintenance. Description: Fully air-conditioned units with drop ceiling throughout. Spaces have been used for a combination of office/service/light manufacturing. Can be leased separately or together. Utilities: natural gas for heat; electricity for air-conditioning and lights, outlets, etc. ; municipal water and on-site septic system. Rubbish Removal: A common dumpster is maintained by the owner for routine rubbish removal. Heat/Air-Conditioning: Central systems–hot air heat by natural gas; electric air-conditioning. Electric Service: Each unit has a 100-amp, 208 volt, 3-phase electric service. Operating Expense Escalations: Base rent will increase by 2% per year. Use: The spaces can be used for a variety of office and light manufacturing purposes. Medical use is permitted. Note: Unit A-1 has a storage mezzanine of 200± sq. ft. No rent is charged for this space. 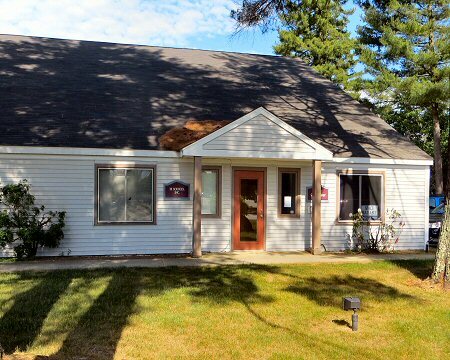 Property is owned by a New Hampshire Real Estate Broker.